My words are unerring tools of destruction, and I’ve come unequipped with the ability to disarm them. Talking trees in a magical forest, sleeping kings, a non-psychic psychic, a group of four good-looking high school boys and the feeling of nostalgia besides the pure want of knowledge. If that’s not what you’re looking for in an urban-fantasy book, then shame on both of us. Shame on you that you don’t give this wonderful book a try. Shame on me that I couldn’t convince you otherwise. Because let me say from the bottom of my heart – this was one of the best reads I had in the entire year of 2016. Maggie Stiefvater built a world where one cannot ignore the fact that all of the main characters are equally lovable. Since I have never read something from Maggie Stiefvater before, I needed quite some time to become accustomed to her writing style. It is very unique and the first few pages of the book were some kind of slow-moving for me. But the further I read the better I understood. To be honest, The Raven Boys was a book I never intended to buy. It got my attention when I saw it on many pictures from different bookstagramers and after some time it found a place on my wish-list. When I went shopping last week it was mere coincidence that my local bookshop had it in store and considering I love crossing things off of my wish-list, I took it home with me. The book has – next to its fascinating and charismatic characters – an eerie and extremely hypnotizing but also melancholy atmosphere. It had me – despite the slow start – within a few pages and gave my many emotions throughout the story. With every word I could picture the story and where it played (Henrietta, a small town in Virginia) even tough I have never been there. I felt the story building and I really wished to be part of the adventures that took place. I wanted to dive into the pages and find myself right in the middle of Henrietta. Sadly I remained an outsider, damned to only read. It was something new to get to know what will happen eventually without really knowing. Right at the very start – and also mentioned in the synopsis – of The Raven Boys, Blue Sargent along with the reader gets to know that she will sooner or later meet Gansey, a boy from Aglionby Academy. The latter is a place full of hideous people – at least, that’s Blue’s opinion. But what exactly will develop between those two is unclear. Gansey brings his three best friends – namely Ronan, Adam and Noah – along and together with Blue they form and inseparable troupe whereas every single one of them holds their own unknown secrets and ghosts. Not only the characters among themselves but the reader as well don’t know the truth all along. These background stories covered in fog can only add to the unique feeling of the book. Since I’m way beyond looking for love-triangles – I have read about them way too much! – the constellation in this book is interesting. Blue is the only female character – while living in a house full of women – among the four male protagonists. One might think that Blue instantly falls in love with all of them (I did and I don’t regret anything!) but as well as the book, this girl is different. She never ceases to amaze me with her behavior. Although she gets described as ‘sensible’, she knows exactly how to handle all of her boys. She knows when they need the calm and relaxed Blue but also does she know when to deadpan someone – mostly Gansey and Ronan. Furthermore her appearance is more than just unique. 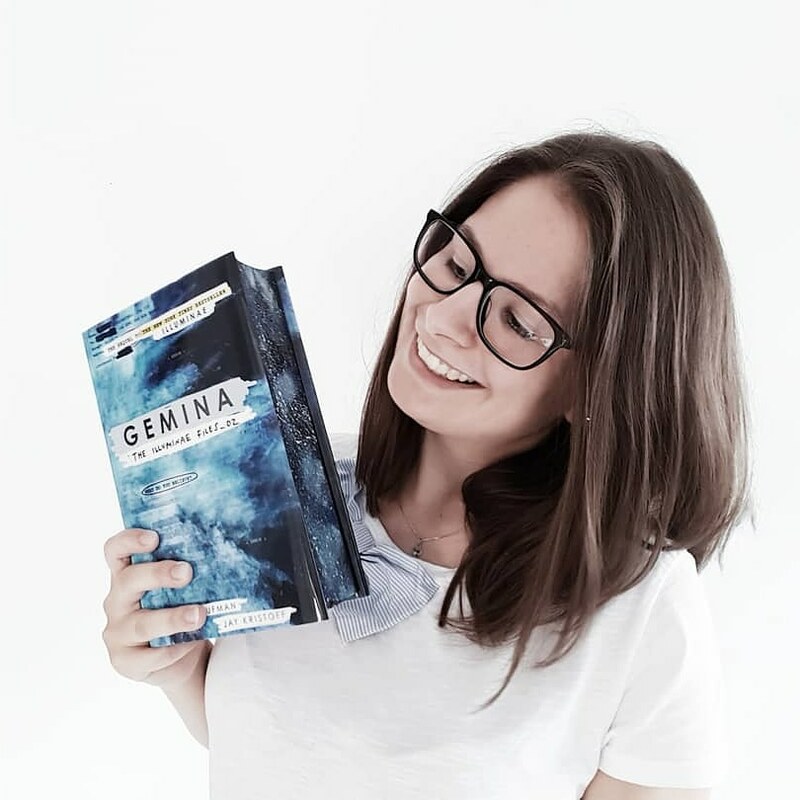 With her short black hair – short enough to be considered short and barely long enough to be made into a ponytail – and her self-made and up-cycled clothes, Blue really isn’t the typical heroine compared to other books. Maybe because of that she is only more lovable. The plot reveals itself chapter after chapter, page after page. I might say that it’s relatively light on the beginning. Surely, it wrapped its fingers around my heart and never dared to let go, but a faster pace is shown in around the last quarter of the book. This is where most of the action happens and where you really don’t want to put the book down – it’s the fear of missing something very important. But through the whole plot you’ll find yourself pulled deeper into all of the mysteries hidden on a search for a mysterious sleeping king and the promises he holds. Sadly (or luckily? ), The Raven Boys ends with a cliffhanger that left me speechless and wanting more at the same moment. Maggie Stiefvater really knows how to end a book. But don’t die right here, my friend. The Raven Boys is part one of a series called The Raven Cycle and the last book was published on April 26th 2016. This means you can order all of them at once and read it in one – okay, maybe more – sitting. I highly recommend this book to well … everybody? No, I’m kidding. But you should definitely read it when you’re fan of mystic and psychic things and know the feeling of knowing something. Also if you want to grab something nostalgic that covers the fields of wanderlust and adventures, you should give it a try to let yourself be surprised – just like me.